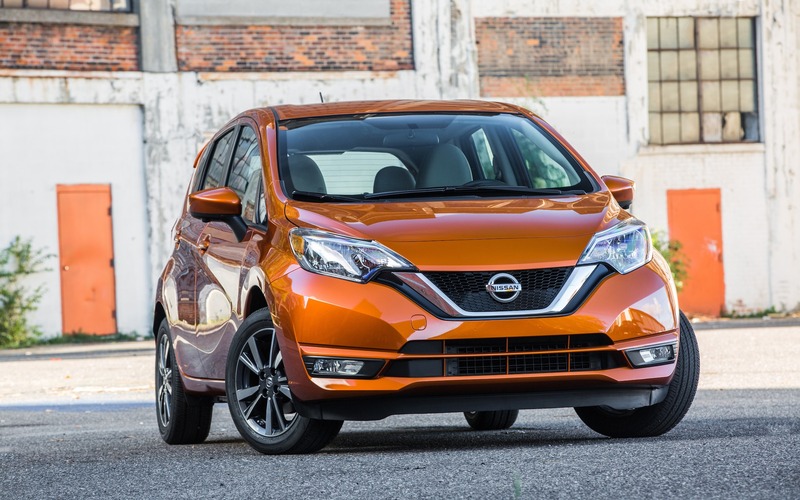 Following its unveiling at the Los Angeles Auto Show earlier this month, the 2017 Nissan Versa Note will be available in Canada at a starting price of $14,498 before freight and delivery charges of $1,600. That’s for a base-trim Versa Note 1.6 S with a five-speed manual transmission, air conditioning and Bluetooth hands-free phone connectivity. Adding a continuously variable automatic transmission raises the MSRP to $15,798. It’s followed by the SV, the sporty SR and the well-equipped SL, with prices ranging from $17K to $20K. The 2017 Nissan Versa Note is equipped with a 109-horsepower, 1.6-litre four-cylinder engine. The CVT automatic has been retuned to simulate gear changes for the feel of a conventional transmission. Other changes for 2017 include a restyled front end with V-Motion grille to resemble the brand’s other products, new paint colours, new wheel covers and alloy wheel designs as well as the sporty, rear-end treatment previously reserved to the SR trim level. Inside, the Versa Note gets bigger cupholders, while the sound system USB port is relocated to the front section of centre console for easier access. The 2017 Nissan Versa Note will be on sale in Canada in December.